After several attempts, Leonardo DiCaprio finally took his first and long-awaited Academy Award home. The digital world celebrated with Leo. But in addition to his acting performances, there are other reasons why we should celebrate him. These subsequent 5 facts about his inspiring activities, are unfortunately hardly known. This we want to change. 1. DiCaprio cares about our environment: So passionate as he takes care of pretty models, as passionate he is, when it comes to endangered animals, the preservation of the oceans and the environment. 2014 he was involved in a global protest against climate change, and hold a speech at the UN Climate Summit in New York. His foundation, “The Leonardo DiCaprio Foundation” announced to have donated almost 14 million euros to 30 different environmental organizations. 2. He cares about the natives of the planet: For centuries our natives are plundered around the world, lied to, exploited and murdered by greedy governments and organizations. In his “Golden Globes” speech in January, he thanked also all natives of our planet, which often provide the ideas for a lot of scripts. His Foundation actively promotes the preservation of land in the Amazon, and undertakes major worldwide projects to protect endangered cultures. 3. He cares about Animals: His Foundation does not only care for the environment and the people, but also supports a number of initiatives for the protection of wolves, sharks, elephants, snow leopards, tigers, gorillas and other endangered species. In 2010 he donated another million dollars to the “Wildlife Conversation Society”, which campaigns for the preservation of tigers and other species. 4. He does not only donates money: In addition to numerous donations, Leo endeavors also about being a role model. Thus the multi-millionaire waived on private jets or an expensive and polluting sports car and drives a Tesla, powered solely by electricity. 2015 he purchased an island near Belize in order to build a unique environmentally friendly holiday resort. 5. 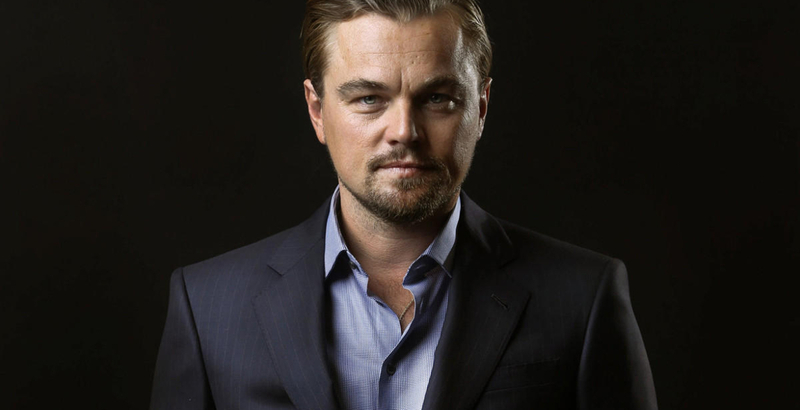 He makes films in order to change the world: In addition to its actual activities as an actor, DiCaprio acts backstage on film projects in order to increase the global awareness for our environment. He was the executive producer of the Netflix documentation “Cowspiracy, The Sustainablitlty Secret”, which shows the negative impact of mass agriculture on our environment.